I had never really heard of Boux Avenue until recently, when I stumbled across their website in search for some new winter nightwear. After just minutes of browsing their collection, I wanted it all! They have a whole range of products ranging from lingerie to nightwear, and even home and beauty accessories which are wonderful gift options for this time of year. 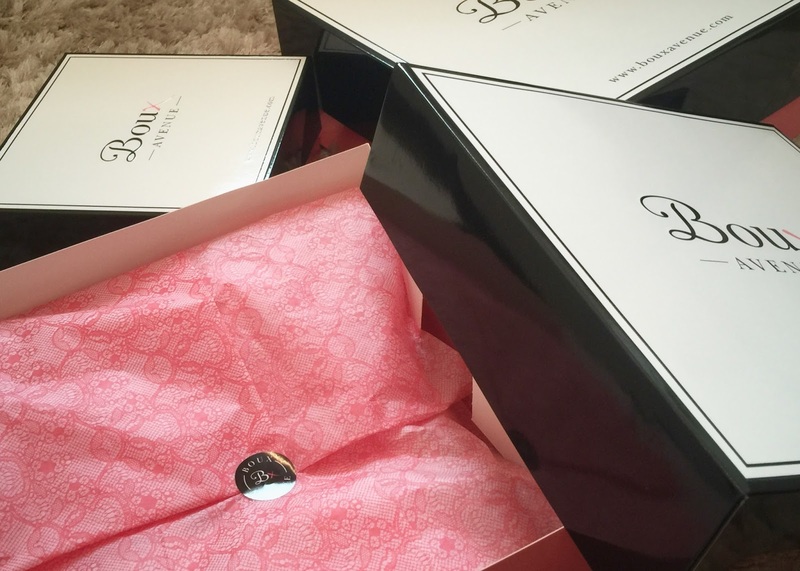 Everything comes beautifully wrapped in gorgeous black, white and pink boxes with lace printed tissue paper and scented cream rose petals scattered inside. The gift wrapping option is completely free and adds that extra special touch whether it’s a gift for someone else or (like me) yourself! Delivery time was incredibly fast as well – I placed my order at midday on Friday and it was delivered on Monday morning. After browsing the nightwear collection for absolutely ages, I finally narrowed down my choices to two pairs of pyjamas. These are beautifully fit, and include a buttoned shirt and pyjama bottoms in matching prints – one is pastel pink, striped with vintage prints and the other is blue with large red roses. The selection has a very Cath Kidston meets Victoria Secret feel – very luxurious and special yet still cute and utterly gorgeous. 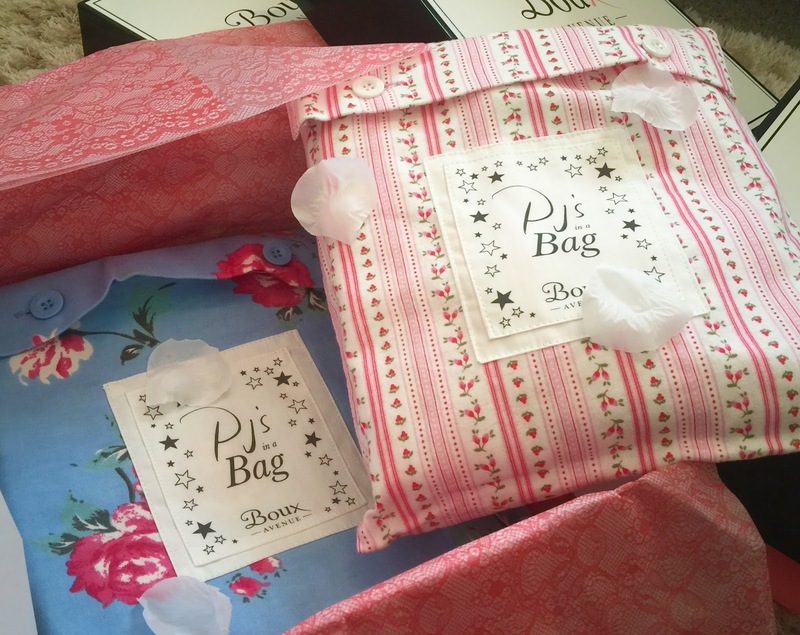 The pyjamas in a bag are excellent for travelling as they easily pack up and fit into your luggage. I loved the nightwear so much that I had a browse through the rest of the website to see if there was anything else that caught my eye (and I must say, there was a lot!). I picked up some powder tissues as I just ran out of blotting tissues in my bag, and also a very pretty satin eye mask. It ties up with a silk ribbon at the back, so you can adjust the size, and it is very comfortable to wear (not to mention, you feel like Audrey Hepburn in Breakfast at Tiffany’s whilst wearing it). 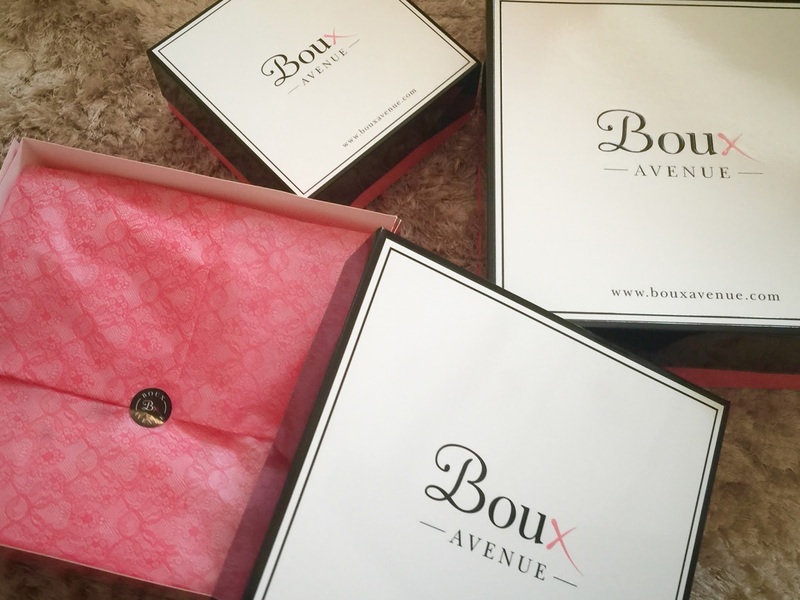 I’m incredibly impressed with my whole experience shopping at Boux Avenue – it was absolutely fantastic. Although, it’s too late to order off their website in time, I highly recommend checking out their store if you’re in search of some last minute gifts this Christmas!